When Constance McCullah was looking at college to attend, a friend from high school suggested she visit Trinity Christian College in Palos Heights, Illinois. She stayed with students on campus and learned the school not only had a solid academic program in nursing, her major, but it also incorporated a spiritual element for a more holistic education. These qualities, plus Trinity’s close proximity to her home in Country Club Hills, Illinois, led Mccullah to Trinity, where she is now a senior. “My family has a lot of health care professionals,” she says. “My grandma is a retired nurse, and my aunt is currently a nurse practitioner.” Her mother’s illnesses when she was younger help drive her toward nursing, because she recalls meeting nurses who were kind and compassionate. “I want to do the same thing,” she says. “If these people can care for my mom, I want to be the person who can care for other people’s moms.” Later in her career, McCullah sees herself possibly becoming a nurse practitioner, and perhaps, opening her own practice. The ACI General Scholarship McCullah has had for three years has helped make her dreams possible. Her mother is disabled and cannot work, leaving Mccullah dependent on ACI and other financial aid for school. “It’s definitely been a blessing with helping to cover last-minute costs and books,” she says. “Thanks for always blessing me with the opportunity of receiving a scholarship, and I pray that this scholarship program keeps continuing to build.” Among her other scholarships is an academic scholarship named for former Trinity President Gerard Van Groningen, and she has been on the dean’s list more than once. McCullah is making the most of Trinity’s academic offerings, with minors in science, psychology and Black Studies. In addition to her studies, Mccullah participates in Trinity’s Gospel Choir, Black Student Union, Multicultural Leadership Team, Nursing Student Association and student government. 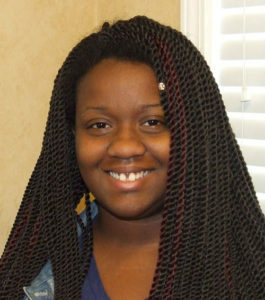 Williams, a sophomore at Blackburn, is majoring in elementary education. “My plan is to become a teacher and to make a difference in some way,” she says, adding she’d like to teach young children. To help her college experience, Williams joined ACI’s Peer Mentoring Program at the college, which she credits for success in her first year in college. “I owe it to this program,” she says. 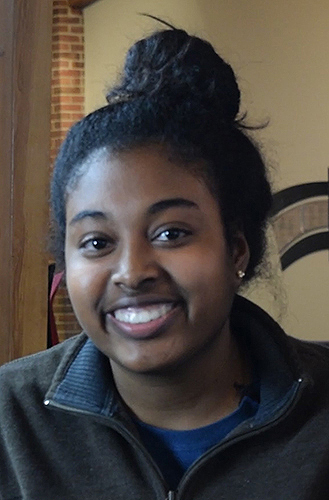 As a first-year mentee, Williams says her experienced peer mentor answered questions, gave her feedback and advice, which guided her through her freshman year. “The program itself has helped me figure out study habits for tests, and it’s given me social skills I didn’t have before,” she says. “What I’ve gained most from being in the Peer Mentoring Program is having people that I can rely on like friends. I’ve made connections with multiple people through this program. “This program has helped shape me from the beginning. It has helped keep me on track. That has been very important and helpful,” Williams says.